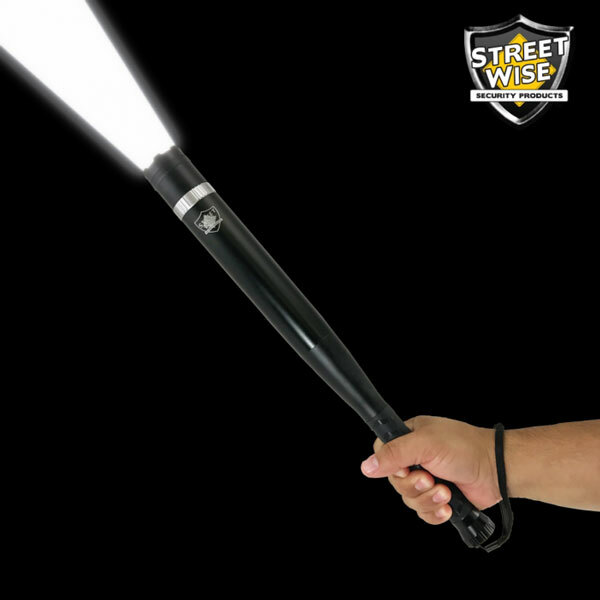 Streetwise Sting Ring: a stun gun ring that buys you time when attacked. It features squeeze-n-stun technology. Tactical Griffin GRIP: a concealed pressure point device that you can wear like a ring turn backwards. It works as a force multiplier for grips. 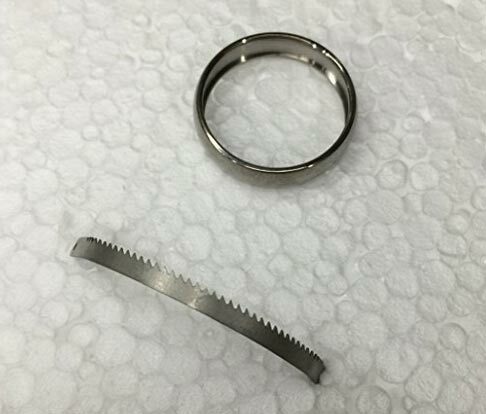 Titanium Escape Ring: can hide a saw and shim-pick combination tool, so you can open handcuffs and cut zip-ties. MecArmy SKF2T Glass Breaker Ring / Necklace: has a Tungsten steel strike bezel design and dual glow bar for nighttime use. 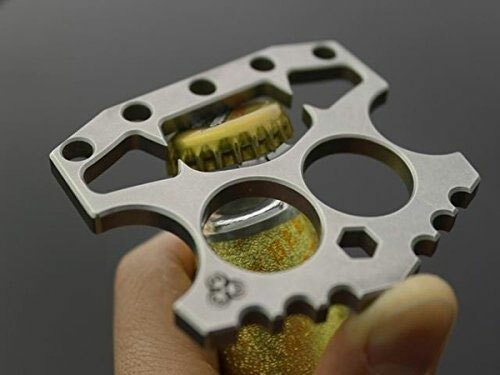 Hexagon Self Defense Ring: you can carry this in your pocket or unfold it to wear it on your hand when you need to break a glass or defend yourself. Go Guarded: it is made of glass-infused heavy duty plastic and thermoplastic elastomer. Helps you defend yourself when attacked. 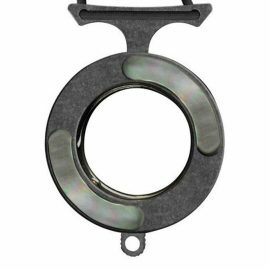 BephaMart Pocket Self Defense Ring: you can wear this around your neck or finger. 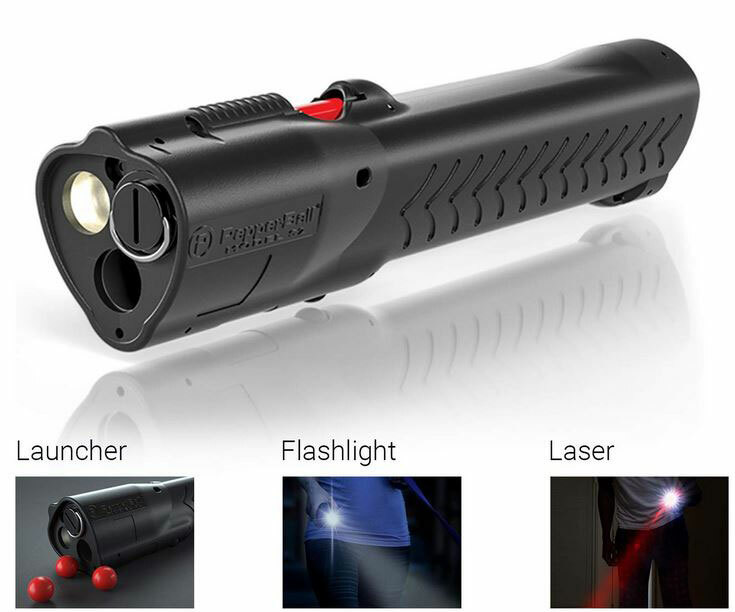 It has a high-grade zinc alloy construction and lets you keep attackers at bay. VISTOP Self-defense Ring: made of 304 stainless steel, this ring can get you out trouble fast. 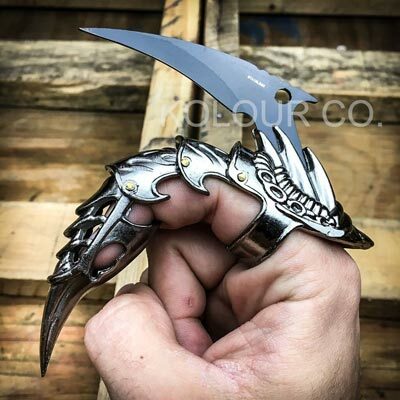 Dragon Claw Ring Finger Knife: a fantasy stainless steel knife for geeks, survivalists, and hunters. Invisible Self Defense Ring: a stainless steel wearable tool that lets you cut things and keep attackers at bay. Have you found cooler self-defense rings? Please share them here.